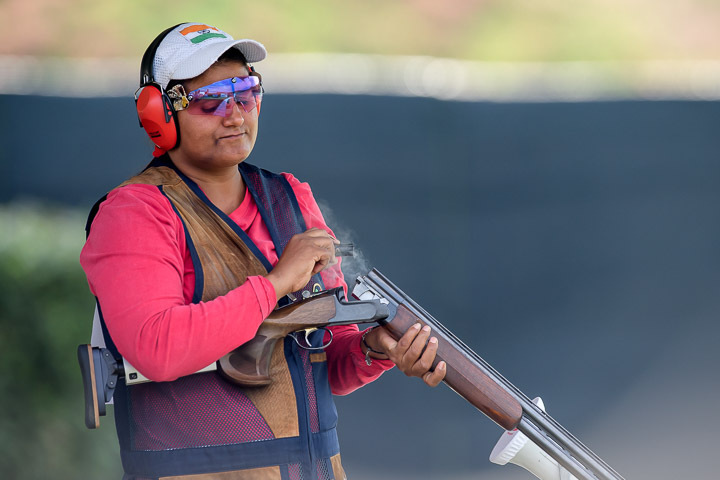 Seema Tomar of Army claimed the gold ahead of Olympian Shagun Chowdhary in the Women’s Trap at the 60th National Shotgun Championship in Jaipur on Sunday. Seema, who is fresh from a silver winning effort at the recently concluded 6th Asian Shotgun Championship in Abu Dhabi, following a qualification score of 74/75, was below par with a 62 in qualification following a series of 20, 22 and 20. However, in the finals, Seema was close to her fighting best as she shot the last five birds in the gold contest, while Shagun of ONGC, who had topped qualification with 66, missed the last two after being ahead. The silver medal was a good come back for Shagun, who could not make it to the national team recently. Even after winning the title, Seema who finished 5th at this year’s ISSF World Cup in San Mariro, did not sound very happy with her performance today. Speaking to indianshooting.com, Seema said, “I am not happy with my score. I was not in my best of forms today. I think back-to-back competition is the reason I could not shot my best. Mujhe thoda rest kerna chaheye tha, Jaipur mai aaker practice nahi karti to achha hota”. 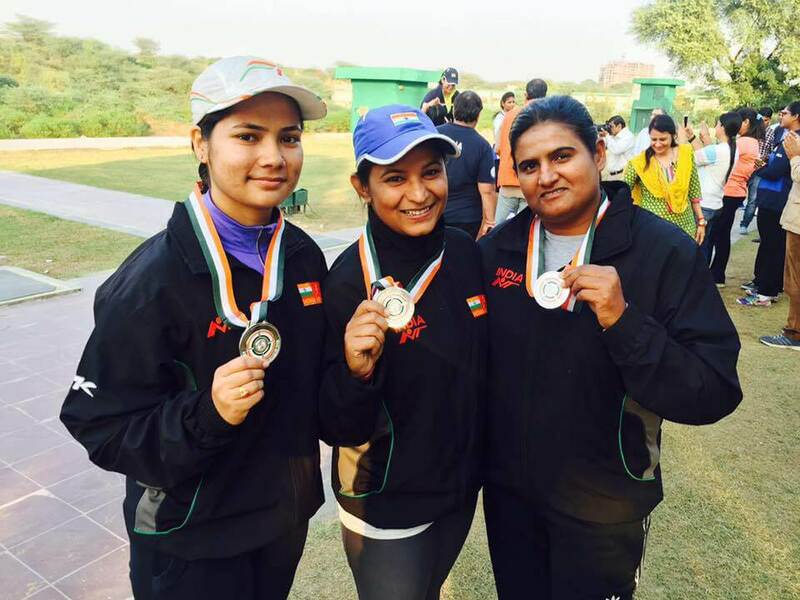 Army team led by Seema Tomar won the silver in team event. The bronze was won by Manisha Keer of Madhya Pradesh. The two had shot 11 in the semifinals to qualify for the gold contest, while Manisha Keer and Pragati Dubey shot 10 each to make the bronze match, ahead of Shreyasi Singh (65) and defending champion Anam Basit (63) who shot nine. Junior Women’s Trap final became anticlimactic as three of the top six were disqualified, owing to their ammunition not meeting the specifications. 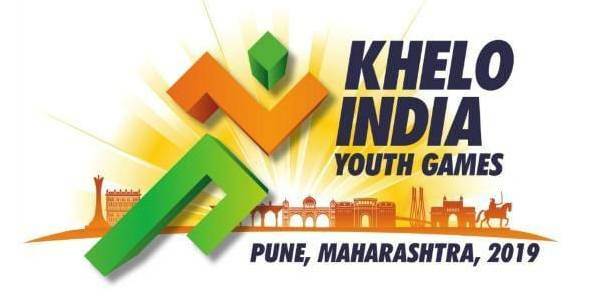 Interestingly, in the subsequent senior women’s final two of the disqualified juniors Manisha Keer and Pragati Dubey used different ammunition and went on to fight for the bronze medal. 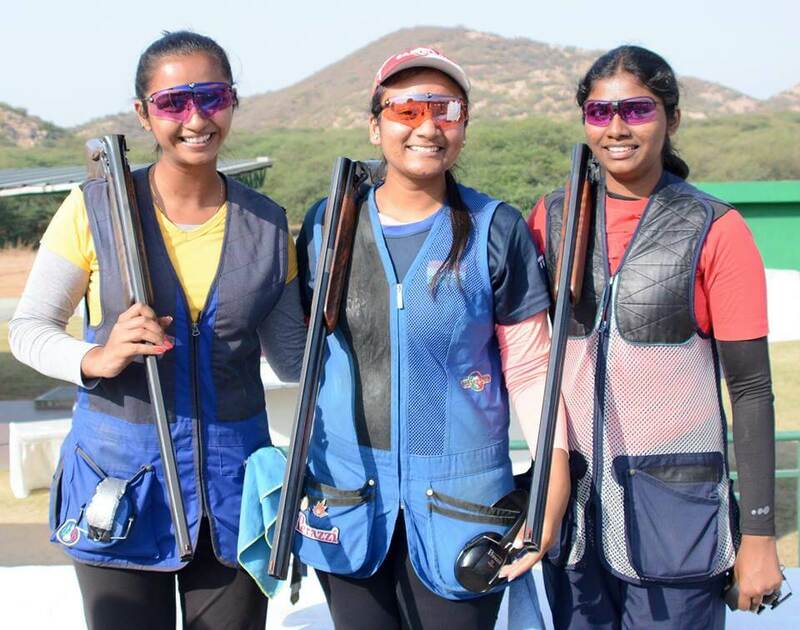 With the field narrowing to three from six for the semifinals in the junior section, before a shot was fired, the trio was assured of the medals straightaway. N. Nivetha missed the first bird after being tied on 9 with Sajneet Kaur in the semifinals, and ended up defending her bronze medal from the last edition. Soumya Gupta was delighted to clinch the gold as she beat Sajneet Kaur 11-10, after having topped the semifinals with 10. Women’s Trap: 1. Seema Tomar 11 (11) 62; 2. Shagun Chowdhary 10 (11) 66; 3. Manisha Keer 8 (10) 62; 4. Pragati Dubey 6 (10) 62. Team: 1. Madhya Pradesh 187; 2. Army Marksmanship Unit 180; 3. Punjab 167. Junior Women’s Trap: 1. 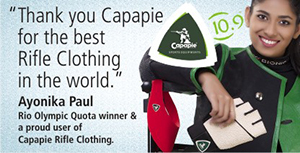 Soumya Gupta 11 (10) 61; 2. Sajneet Kaur Rehal 10 (9)1 59; 3. N. Nivetha 9(0) 56.